So here’s the last installment for my Ho Chi Minh City adventure. I consider this as our most tiring but interesting day so sit back, relax, and enjoy reading! Since we noticed that Trung Nguyen’s food is cheaper than if we go for fast food, we woke up early and proceeded to Trung Nguyen for our breakfast. We ordered coffee (but, of course) and enjoyed a nice and inexpensive Vietnamese meal. We needed the coffee since there’s still so much to do (shopping!!!) and it’s already our last day. Yikes! Our first stop was at The War Remnants Museum. 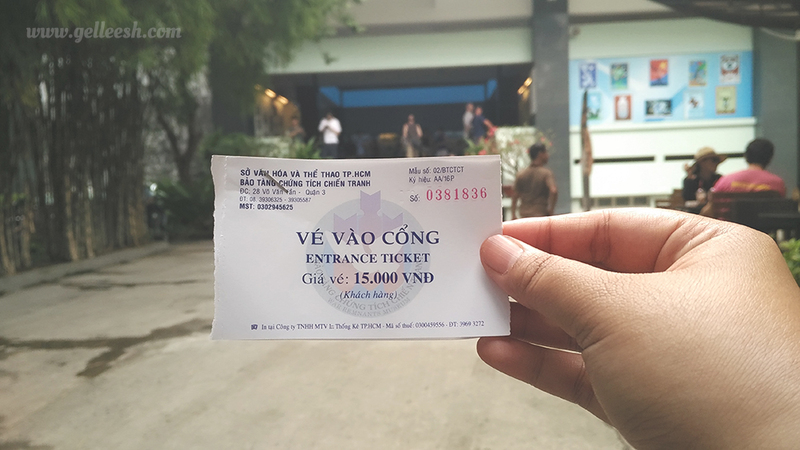 My husband has been dying to go here and one of the people we met the night before at the Backpacker’s District told us that even though he has already visited the said museum a couple of times, it’s still his favorite and he keeps visiting it again whenever he goes back to Vietnam (He is Vietnamese but grew up and lived in Germany). 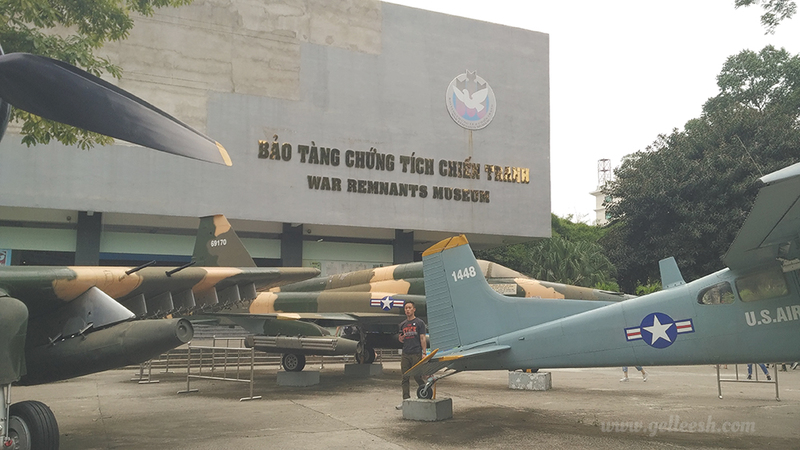 The War Remnants Museum houses exhibits relating to the Vietnam War. 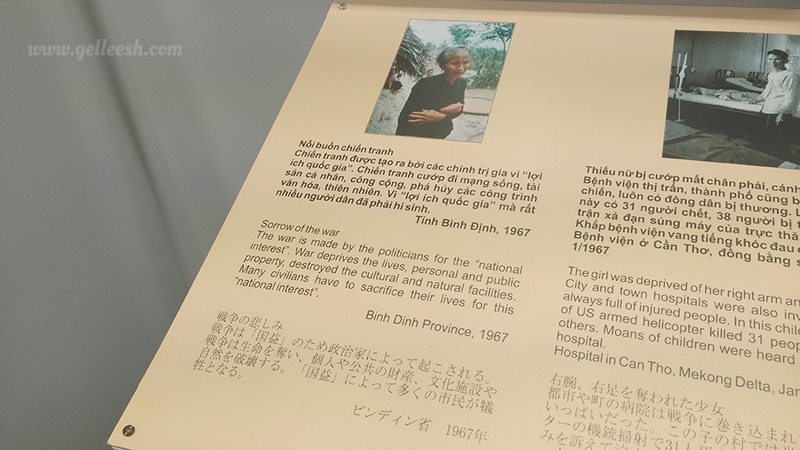 When we went to the Reunification Palace, I’ve already learned so much about the country’s history; but The War Remnants Museum has taught me more and opened my eyes to the level of violence during that time and the war’s lasting effect to the Vietnamese people and those who took part in it. 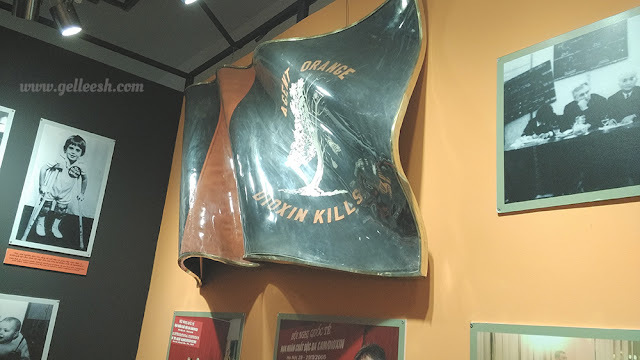 Majority of the things you’ll see in the exhibit were photos; but the violence is so graphic (accompanied by the stories behind them), that the fear and emotional distress during those times will really get into you. The thing that struck me the most in the exhibit is the Agent Orange part. So what was Agent Orange, you ask? Even up to this day, Agent Orange has haunted the country as its people still experience the lingering effect of the said chemical. There are photos of people affected by Agent Orange most of which are children of the Vietnamese who’ve been affected and even of the American soldiers who got exposed. No one was 100% safe during that time. 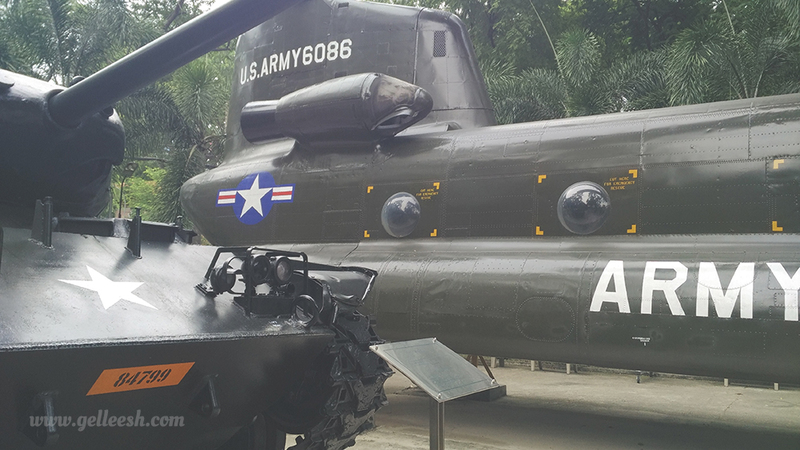 If you’re going to Ho Chi Minh, you can never miss a trip to The War Remnants Museum. The Vietnam War was something I’ve only heard about as a kid from the older people. I remember my grandfather calling one of my cousins Viet Cong and I just thought that was just a colloquial word for being Vietnamese (just like how we sometimes use Pinoy instead of Filipinos). If it weren’t for my trip here, I would not have known all these things. Truly a cultural trip would always be a thumbs up for me. 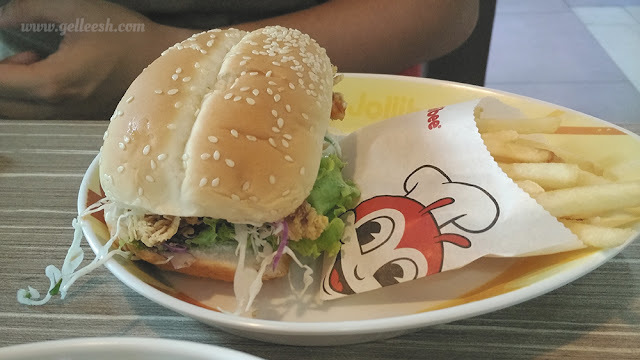 So after visiting The War Remnants Museum, we had this crazy idea to drop by a Jollibee store in Vietnam and do a comparison between their Jollibee and ours back in the Philippines. 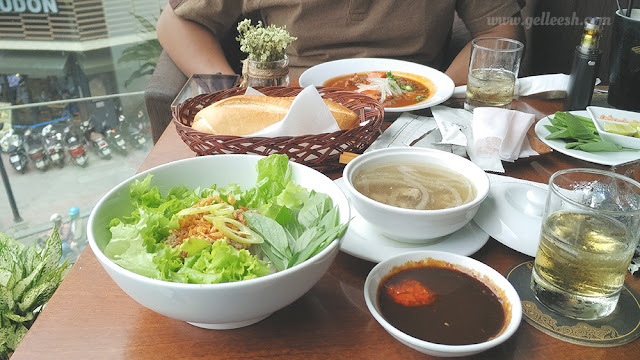 We almost got lost actually because Google Maps was initially pointing to the Jollibee Office in Ho Chi Minh and not the store… But after much patience, we finally located the store and ordered food. Interesting because the Jollibee here is incomparable to the Jollibee in the Philippines. I’m not saying one is better than the other but more of they’re both good in their own ways. 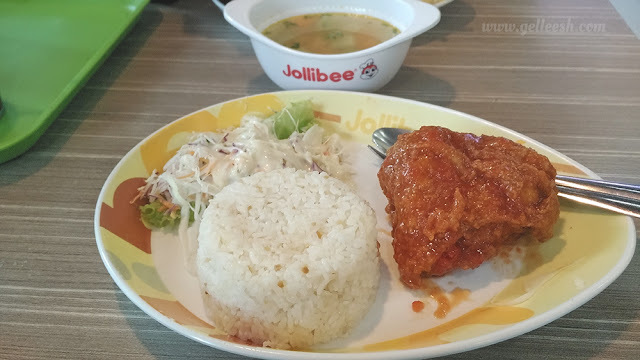 Jollibee here in Vietnam has coleslaw as a side for their meals and they have spicier chicken meals. It’s a good change from my usual Jollibee order of 1 piece chicken (thigh part), one solo order of spaghetti, and one macaroni soup. This can probably be a healthier Jollibee. My fiance loves walking. We never took a cab (unless it’s the one from the airport to the hotel and vice versa) and just chose to walk around. It was supposed to be tiring but I really enjoyed the place. And because it’s our last day, there’s the mandatory shopping. We went to the Ben Thanh Market and it was so much like Divisoria in the Philippines. We opted to converse in pure Filipino when making a decision about a purchase so that no one would understand us. Sorry that I do not have photos of our shopping trip in Ben Thanh Market. It’s because I prefer keeping my phone deep in my pocket because the place is very crowded and there may be a good chance that I will lose it if I wave it around carelessly. I mean, it’s not about the place but more in general, it’s not smart to wave your phone around in ANY CROWDED PLACES (Unless it’s a concert… That’s a totally different thing). SELLER: 1.5 Million Dong for the bag. She wasn’t able to catch up with me and in the end, I was able to buy a good bag for around 400,000 Dong from a different store. It was intense and they’re very aggressive. We also checked out Takashimaya in to compare their prices when it comes to makeup and they’re actually more expensive. Not much though. There was like, generally, a 100-300 Pesos price difference. So no makeup purchases for me in Vietnam. My fiance really wanted to buy some propaganda posters from a shop we saw along the Backpackers’ District. So we went back there again and hoped that it will still be open. If we miss it, my husband might get a little bit cranky and I wouldn’t want that. It was raining a bit but we still pushed through and when we got there… Voila! It’s still open. He bought and he also got me my own propaganda poster. We’ll be displaying them once we got our own place (soon, hopefully) and I can’t wait. 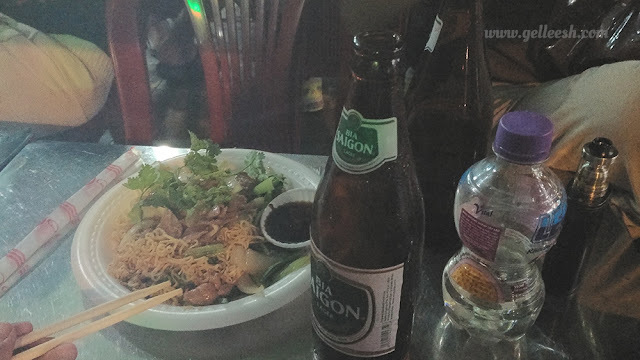 And because we were already at the Backpackers’ District, we opted to grab some beer (AGAIN LOL) and was able to talk to some tourists as well. This time, we’ve talked to some Japanese nationals and they were impressed at how my husband can speak in Japanese. We were talking about the Vietnamese culture and even about the Philippine politics. He knows a lot about it, apparently. 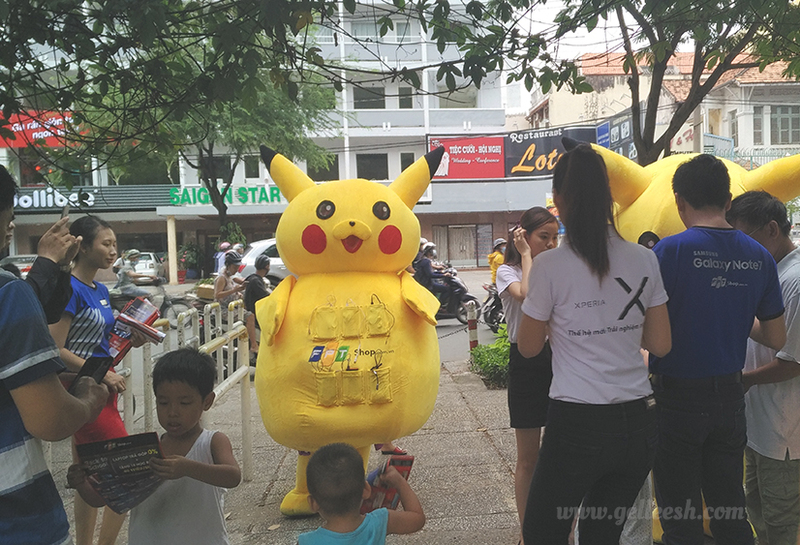 I will miss Vietnam. Everything here is cheaper and it just feels like the Philippines only you’re surrounded by people speaking a different language. Food here seems healthier too so maybe I will lose a few pounds if I stay longer? Ha! Anyway, my husband and I plan to go back but next time we’re heading to Hanoi. I can’t wait for my next out of the country trip and share my adventures with you all. 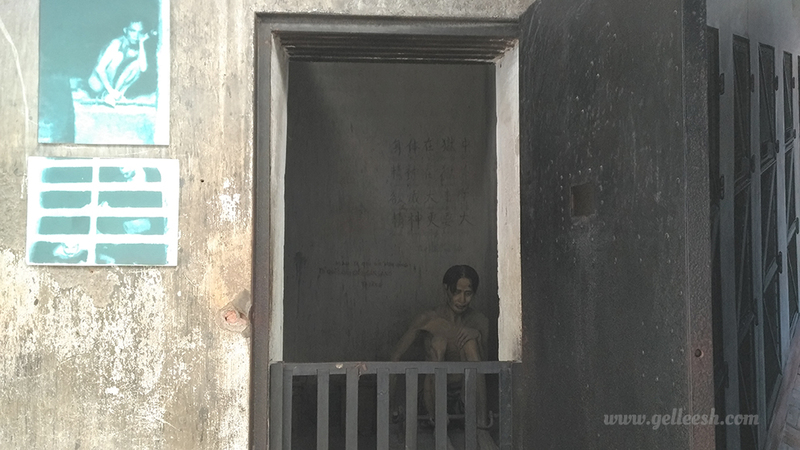 Gellie, that museum really showcased the terrors of war. So sad. I read about Agent Orange, but to see the pictures really brings its effect home. Glad you had a great time and you guys got the posters you wanted. Thanks for sharing your trip with us. I enjoyed this post my dear, keep up the good work!!!! Really loved this post! What beautiful pictures... as always!! Hope you've had a great week! I've known people who go back to Vietnam to visit family, but I've never gotten as much of an inside view as I have with your blog. Thank you! I love the fun face on that napkin at Jollibee. And it was interesting to read about the museum. 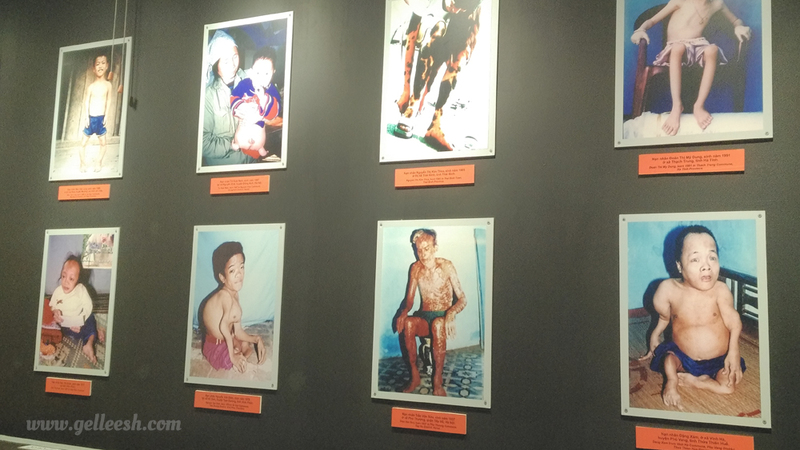 Those Agent Orange photos are heartbreaking. How is it possible that we can be so cruel to our fellow humans? Thanks for sharing, beautiful! You're welcome Janea. I want to go back to Vietnam again actually. Want to go check Hanoi next time. Wow, what a neat experience! The war museum sounds incredible. I have to admit, reading about the Agent Orange made me so sad. I just can't believe that we thought that stuff is a good idea. It affects so many people long term, it's heart breaking. Sounds like the museum was very informative. All your food looks so delicious too! I've heard a great deal of good things about ho chi minh, and I would love to visit one day!